UAE. 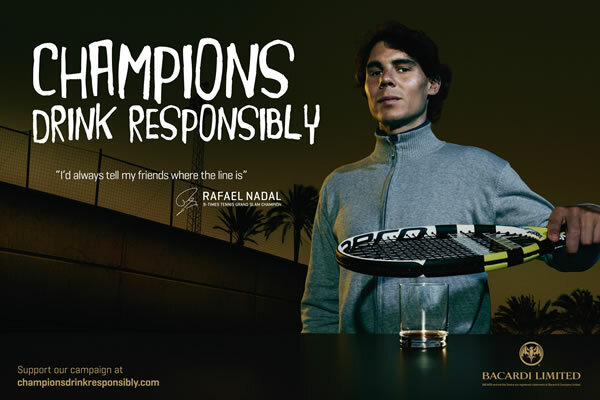 Bacardi Global Travel Retail and Dubai Duty Free are to launch the brand owner’s ‘Champions Drink Responsibly’ social responsibility campaign in travel retail this month using a virtual reality video game – with an opportunity to meet tennis star Rafael Nadal the big prize. The campaign will run at Dubai Duty Free from 15 February to 3 March. Bacardi Limited, which this year celebrates its 150th anniversary, is showcasing its ‘Champions Drink Responsibly’ drive for the first time in this channel with the launch of the game. 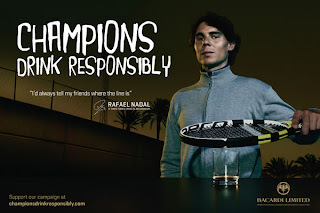 It features Nadal, who is Bacardi’s Global Social Responsibility Ambassador. The campaign’s launch coincides with the Dubai Duty Free Tennis Championships (20 February to 3 March). Legal drinking age travelers and tennis fans will be challenged to play the video game, called ‘Ace Rafa’, created by Bacardi Limited. Fans who successfully ‘ace’ the ten-time Grand Slam winner in the game will go into a free prize draw to win an opportunity to meet Nadal in Mallorca, Spain. In the game, travellers face the player using the RoboServ – a 12-foot tall tennis-serving robot. A replica of the RoboServ will form the centrepiece to the surrounding computer displays on which the game is played in the airport. 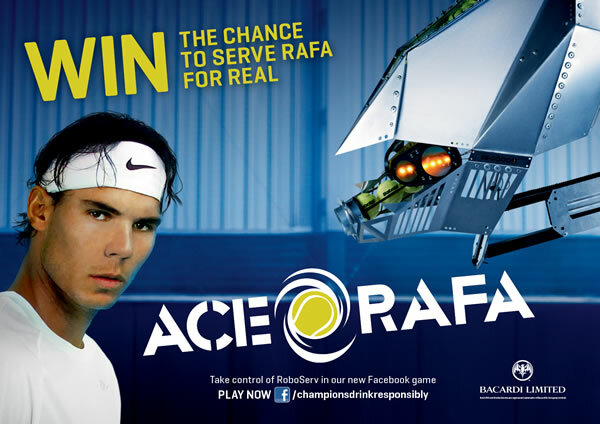 Unlike most console and online games, said Bacardi, ‘Ace Rafa’ features the player, using imagery shot in his hometown of Manacor in Mallorca – rather than a computer-generated version. The game is brought to life as Nadal reacts to each serve as though he was playing an actual game of tennis. The social responsibility campaign highlights the message that “Everyone knows where the line is” when it comes to drinking responsibly. The latest campaign was launched by Rafa Nadal in 2011.